When was the last time you made a sale on Twitter? Or at least thanks to Twitter? Most of us already know the importance of LinkedIn for sales prospecting, but Twitter is still unchartered territory for many B2B salespeople. While it’s not primarily a professional network, there are over 300 million active users on Twitter. That translates to a whole load of potential contacts, insights and sales cues – you just have to know how to read them - just one of the essential skills of a modern salesperson. Today’s winning brands know this. 98% of the Interbrand Top 100 is tweeting. And it’s working for them. 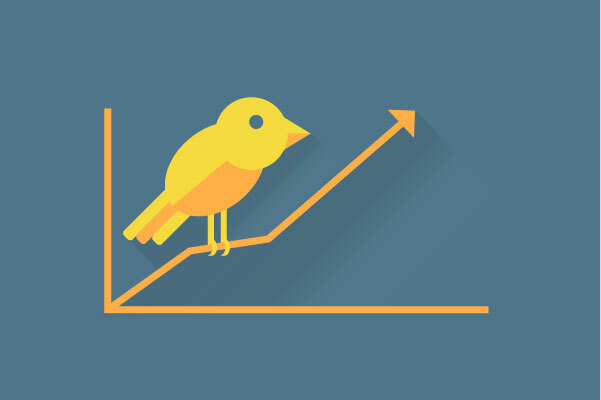 Studies show that B2B companies who use Twitter get twice as many sales leads. And IBM reported a whopping 400% increase in the sales of an important product after piloting a social selling programme that integrated the micro-blogging site. When it comes to Twitter, it’s all about who you follow and who follows you. With more than 300 million people to choose from, it will take a bit of effort to find your target audience. Start by identifying and searching for keywords and hashtags your potential buyers might use. Use the inbuilt Twitter search, then follow anyone who matches your ideal customer profile. Follow your competitors and look at who they’re following and who is following them in turn. They may have done a lot of the hard work for you. Klout and tweepi are great tools to aid this discovery. As the amount of people you follow grows, you’ll need to use a Twitter client (such as TweetDeck) to organise everyone into lists for easier tracking and searching. Make sure you save your searches so you can see live tweets relating to your search terms at any time. There are lots of automated tools and services out there that claim they can build you a relevant following instantly. Be wary of them. Assembling your list by hand will take longer, but it will result in a higher-quality following. And be sure to thank people who follow or retweet you personally – that little human touch makes a difference. You can't always wait on marketing to generate leads for you, get online and start finding some yourself. Now you’ve built up your following list, it’s time to start ‘listening’ by monitoring your feed to find those you’re most able to help and who are most open to your product. Search for terms like ‘anyone recommend’ or ‘any advice on’ to identify those looking for immediate assistance. Keep an eye out for buying signals (dissatisfaction with a competitor, exhibiting a need your product can fulfil, etc.) and engage at the beginning of the sales cycle. Or, if you can spot a buying process or imminent sale, jump in and get on the shortlist. You can combine a very precise Twitter search with a service called ifttt.com to email you when a particularly interesting tweet appears. If your company already uses a listening platform (such as Salesforce Marketing Cloud Radian6), get a log in and explore all the information available – it could help you find relevant conversations, identify opportunities and generate some qualified leads. Twitter is the perfect research tool for a spot of pre-sales research. And you don’t just have to stick to cyber-stalking the one prospect you’re already in contact with. You can use it to keep an eye on the company as a whole to get a better sense of their challenges, goals and agenda. For example, even if your sales contact is the Head of Networking you can find out a huge amount about their company from a Head of Product or even a junior engineer’s tweets. You can also use Twitter to get a clear picture of what their customers and competitors are saying about them, by using a tool such as Social Mention. That way, you can be fully aware of how your products could solve their issues. All of this information can be used to make your next sales pitch more relevant and your real-life interactions even more meaningful. The best thing about Twitter is that it’s easy to spark up conversations with your target audience. But to avoid coming off like a spammer it’s crucial you start by showing you’re listening. A tweet can often be an invitation for help, but it’s never a request for hard sell. Use what you know (and who you know) to help people out. Retweet your prospect’s tweets to your followers – if you can’t help them someone in your network might be able to. You’ll still get the credit for helping them out. If the prospect is following you, use private Direct Messages to move the conversation away from the public forum, to share email addresses or phone numbers, and start to move them towards offline conversations. Even if they’re not ready to buy now, if they’ve had a positive experience with you on Twitter, they’re much more likely to want to buy from you in the future. At the same time as building the list of people you follow, you need to build up your own following. Have a clear and focused bio that explains exactly what you and your company/brand does. A good bio showing your areas of expertise will make people much more likely to follow you back. A bio about your three kids and stamp collection is somewhat less effective, though it's important to show your personal side too. Use relevant hashtags when tweeting but don’t piggyback on trending but unrelated hashtags. Many companies have made this mistake and the Twitter community were quick to pick up on it and slap them down. Tweet often; a few times a day during the working day is a minimum. The more you tweet, the more followers you will get. Live tweet about events you’re attending using the official hashtag. Comment on topical subjects that are relevant to your product/brand, making a connection between news of the day and your company. With tools like Buffer or FutureTweets, you can schedule your tweets for when your followers are most likely to be looking at their tweet stream. Don’t worry about having to generate loads of content yourself. Instead, be a curator for all the great content already out there, whether that’s sharing all the fascinating content your company produces (they do produce fascinating content, don’t they? ), retweeting other people’s links and comments or simply linking to the most interesting news of the day. And on Fridays, throw some love at your closest customers on Twitter by including them in a follow Friday list (#FF plus their twitter handles). The aim is for your Twitter feed to become a source of great content and thought-provoking comments that are relevant to the audience you want to attract. When sharing links, use a simple link shortener like bit.ly. Not only will it free up more characters for your tweet, it also allows you to track clicks, shares and saves, so you can engage with anyone who’s shown interest in your links. Like in any world, there are those who follow and those who lead. Identify key influencers on Twitter by watching who people are retweeting and following. Generally, the more followers, the more influential a person is. And the ratio of ‘followers to following’ is a good indicator too. A tool such as Klout can also help identify the most influential people. Follow these influencers and organise them into their own column or list. Sometimes, being added to a flattering Twitter list (‘Fascinating Tweeters’, for example) is enough to gain you a following. Reply to and retweet their most interesting and relevant content. When you think they would be genuinely interested, alert them to a piece of your own content. But don’t spam them – nobody likes that. If they do share your tweets, make sure you thank them. A single tweet from the right person can gain you many followers as well as position you as an expert. There’s no point in learning all about your prospects – what they want, what they don’t want, what they think about your competitors, etc. – if you’re going to keep all that information to yourself. So, make sure you use all of the insight you gain on Twitter to add insight to your CRM data. Use a Social CRM tool, such as Salesforce Sales Cloud, to create social profiles that combine all you know about their interactions with your company with their social activity to get a more rounded view of your prospects. (Be sure to choose a CRM tool with a mobile app. You never know when that deep insight might prove vital). By using Twitter to listen to and learn about your potential customers, you may never have to make a cold call again. So there you have it - a myriad of ways to utilse one of the most unquie and fascinating social channels out there. Happy tweeting! For more tips about using Twitter and other social networks for sales prospecting, grab yourself a copy of free Social Media for Sales Prospecting guide.